Knowledge of the early life stages of fishes is crucial for the effective monitoring and management of fish populations and habitats, and the evaluation of environmental impacts and recovery of endangered species. Unfortunately, the proper identification of targeted species has stunted the development of the field. Now a series has emerged that stands as the leading resource on the reproduction and development of many North American fishes. Reproductive Biology and Early Life History of Fishes in the Ohio River Drainage fills immense gaps in knowledge of issues related to early life development of fishes in the Ohio Basin. 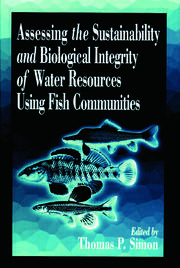 Volume 4 addresses the developmental and morphological issues of Perch, Pikeperch, and Darters. 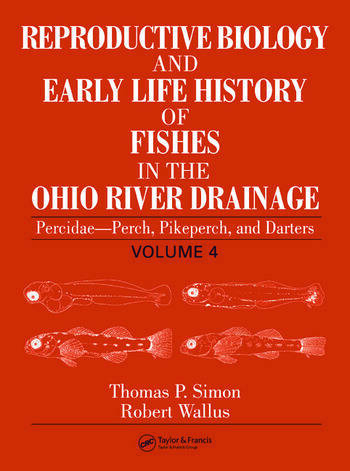 This volume describes the characteristics of the family Percidae, and provides a detailed pictorial guide to the young of all fish families present in the Ohio River drainage. Subtopics within each species description include range, distribution, occurrence, spawning, eggs, development, ecology of early life phases, and more. This book serves as both a handbook to help identify individual larval fish, and as a reference for those concerned with the overall health of the ecosystems or fisheries that they are monitoring. "A much-needed taxonomic aid, complete with keys, diagnostic criteria, and illustrated descriptions for identification of the eggs, larvae, and early juveniles of most of about 285 fishes in the Ohio River Basin. 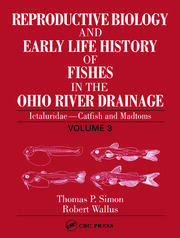 It is also an equally needed compendium of information on the ecology of those early life stages, as well as a summary of the distribution, habitat, and reproductive biology of their parents…"
"The fish fauna of the Ohio River Drainage includes a large proportion of the fishes of eastern North America, including many species whose ranges extend well beyond the Ohio River. For that reason these volumes are valuable beyond the Ohio River drainage. They provide a systematic approach to the study of early life histories of fishes and are useful as a guide to scientists and managers beyond the region, even in areas such as western North America. This series will prove useful to scientists and managers from state and federal agencies, to industry and consulting firm staff dealing with river fish issues, and to faculty and students in regional universities." 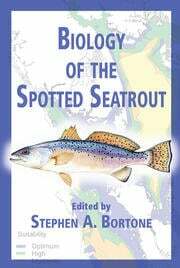 "Provides invaluable information for anyone interested in protecting the spawning grounds or habitat of the fish. …represents the definitive authority on the subject and represent a type of research that has been all to infrequent in these days of bioinformatics and concentrations on things like gene analysis."